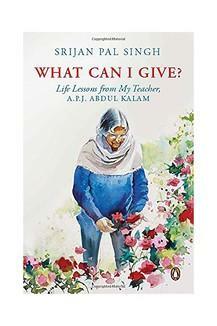 A book in memory of the country's most loved teacher. Dr Kalam is often remembered as a teacher par excellence, whose words, thoughts and very life were lessons in many ways. This book is dedicated by his student Srijan Pal Singh, who worked closely with him, right till the last day of his life. Recollecting his mentor's values, oaths and messages to the youth, Srijan beautifully shares the lessons Dr Kalam taught beyond the classroom. A peek into his daily routine, travels, reflections on various national and international issues, anecdotes and quips, this book helps readers get up-close and personal with the greatest Indian of contemporary times. Featuring many little-known stories and never-before-seen photographs, as well as certain expressions that were classic Dr Kalam, this heart-warming memoir will inspire and enlighten, immortalizing the words and actions of a beloved leader.